So, lore-wise, what type(s) of mounts would you feel fit specific races, and why ? And if I'm to be honest, lorewise, which mount would you feel best fits an Orc ? I kinda suspect the Bear or Wolf mounts, of what's currently available anyway. Probably any predator would appeal, so even the Senche and Kagouti are legitimate considerations. If we could add a new one, my first suspect would be the Echatere. We know they can be ridden (while drunk), so it's possible the Orcs would use them that way under other circumstances. Honestly most races would probably right some variation of a horse, imperial steed for well Imperials, yokudan chargers for the redguards etc. Horses - Humans, Altmer, Dunmer, Orcs. I hate that they decided to make humans the race that domesticated mounted wolves. And I have my own headcanon that horses were originally domesticated by Altmer (Aldmer) and humans simply inherited the tradition. It's not just what Animal fits best with each Race, but what Animal is native to the same region that Race inhabits. The Horse, therein, is native to large swathes of Tamriel from Cyrodiil to Hammerfell, High Rock and Worthgar. Hell there's even a Horse in the July Crown Showcase that's native to Pellitine in Elsweyr. But yes cultural symbolism is just as important as which one is more easily on hand. When it comes to the Khajiit, their Mounts are literally family members who were born into large Senche, and serve as either Warriors or Mounts for their Bipedal Siblings. Any of the Races of Men would use Horses. Even the Elves would use them as well, though perhaps some fancy variant native to Summerset. The Orcs, too, would ride robust Horses from the Wrothgarian Mountains, cause the Echatere aren't built like that, they're more pack animals and livestock. Guars and khagouti do fit argonians quite well, seeing as they're native to Shadowfen as well as Morrowind. I personally like Kagouti for Dunmer more. But thats just a personal thing where one of my characters, being an ex-slaver, rode the things into Argonian villages to scare everyone during raids. This. King Torug's faithful companion Coldwind, who was HIGHLY revered. There is definitely precedent for Orcs utilizing bears as mounts, and it makes a lot of sense to me. My Khajiit rides a camel. I think I’ve been influenced by the Hew’s Bane loading screen. Not sure why, but something I always thought worked well. Probably because she spends a lot of time there in what I consider Thieves Guild HQ. Being a Master Thief it’s her primary hangout. I’m guessing humans would be the other primary riders of the camel? Ahah, yes, good point : the Hew's Bane loading screen has made camel-riding Khajit canon. As for humans : Redguards, definitely, but while some camels can actually endure pretty cold weathers, I don't think the Nords would care much for it. Totally agree and I was thinking of Redguards primarily. Though further thought suggests that camels might not do so well in Reaper’s March, so maybe Khajiit are 2 mount owners? Senche for greener areas and the camel for the drier more sandy ones. If you tie some Argonians to a cart, they can pull you along just fine. Not exactly a ‘mount,’ but it gets the job done. There are 2 camels standing around in Rawl'kha in Reapers March if I recall correctly. All should have a dragon! The ambassador lady rides one! "What's an echatere? The big animal next to me - that's an echatere! Don't you have them around here? Sweet things, really. We use them for all sorts of things. Transportation, pack animals, beasts of burden. They even make delicious cheese!" I hate that they decided to make humans the race that domesticated mounted wolves. I think it makes sense for reachmen, since they mostly worship Hircine and wolf is one of his aspects. Well, we're talking about regions and culture, and here are my 5 cents. Coldwind was already mentioned previously. And considering the weather of Wrothgar and amount of bears in the wild it's only logical for orcs to domesticate and use bears as mounts. "According to Nord legend, in his wars against the Snow Elves the mighty Ysgramor the Harbinger rode a Storm Atronach Bear conjured for him by his personal Clever Man." Well, tecnically it is a legend and the bear was magical, but you know... there aren't a lot of magical bears lore-wise and what kind of nord doesn't want to be a little bit like Ysgramor? You can't race a creature with a 2 meter wide wingspan on their head through a forest. Well at least not without breaking their neck, and possibly your own. Elks and deers with large antlers are not forest creatures, they always live on the plains or on the forest edge, using the trees at the edge for cover and camouflage. Seeing a bosmer on one of them always makes me laugh, I don't think they really thought that through. The obvious creature to race through a forest on are the senches, however I think the canonical mount for a bosmer would really be a tree branch. Breton-horse, Redguard-camel, Orc-bear, Nord-hm tough one i guess horse again, Dunmer-kagouti and not guar because they are mostly pack animals not for riding, Argonian-maybe um wamasu? lol, Altmer-horse, Khajit-tiger, panther, lion etc. any big cat no brainer here, Bosmer-i guess wolf is most realistic horse is for eating like for Orcs heh, Imperial-horse duh. Maormer-sea snakes um no brainer i guess lol, Goblin-durzog, Giant-mammoth duh. There are a lot more races out there but not point in mentioning them like various Akaviri races, Sload, Falmer etc. The back story for the character is that he was a pretty big slaver, then the Akaviri Invasion occurred, the Ebonheart Pact was formed and in the aftermath of all of that he went broke. Lost a lot of clients due to so many argonians being freed/enslaving them becoming illegal. Basically the market for slaves crashed and he wasnt able to recover in time to get in on the emerging Breton/Khajiit market. Who said anything about racing through the forest on an elk? Based on the lore found in mount descriptions (Here's the UESP article on ESO mounts), I'd say the mounts would be divided up like this. I'm going by which race likely first domesticated each species, not by what is most thematically appropriate. There's a lot of text under the cut, but since all of the information is taken directly from in-game mount flavor text it is likely very accurate. The "Grey Yokudan Charger" mount suggests that one of the earliest groups to domesticate horses were the Yokudans. While elves might have ridden horses earlier, Yokudans are the earliest existing group to be referenced in the flavor text for a horse mount. In addition, the "Psijic Camel Exemplar" mount has flavor text that suggests horses were first brought to Tamriel by Yokudans who landed in Hammerfell. Pretty much every lion and senche mount in the game references Elsweyr in some way, suggesting that the Khajiiti were the first to domesticate them. While lions were probably domesticated the traditional way, senche are suggested to either be intelligent by their own right or possibly even a breed of Khajiit. While I've seen some sources say that mount senche aren't the same as Khajiiti senche, I'd prefer to believe that the senche we see in game are a Khajiiti subspecies. There are only two sabre cat mounts, but both are used by human races (Nords and Reachmen). It's unclear which human group was the first to domesticate them, but it doesn't seem like elves or beast races have any connection with sabre cats. While we can see from the "Hist Guar" mount that Argonians have some relationship with guar, it is unclear when they first started using them. Argonians existed prior to Aldmer, so have existed for far longer than Dunmer. This would suggest that they were probably the first to domesticate guar, though it is possible that the Aldmer (and subsequent Chimer and Dunmer) could have been the first group to use them. The "Psijic Bear Exemplar" mount has flavor text saying that the Psijics might have gone to Atmora to find a reference for their Bear Exemplar. This, in addition to the flavor text for the "Storm Atronach Bear" saying that Ysgramor rode a bear Atronach mount, suggests the Atmorans were the first to domesticate bears as mounts. Their use by the Atmorans and flavor text referencing their use as mounts in northern Tamriel would link bear use primarily to the Nords (though Reachmen could potentially also use them). Most camel mounts have flavor text referencing Redguards. The "Psijic Camel Exemplar" also has flavor text suggesting that the Yokudans first brought domesticated camels with them to Tamriel along with horses when they first landed in Hammerfell. Most wolf mount flavor text references use by human races, primarily the Reachmen and Nords. The "Highland Wolf" mount has text saying it was domesticated by Cyrodiilic foresters, indicating Imperials use them as well. There is also the "Gorne Striped Wolf" mount which suggests that Dunmer from Gorne (an island off of Morrowind) also domesticated wolves at some point. There are only a few Kagouti mounts, and none reference who actually domesticated them. The only information stated is that they were recently domesticated. Based on their location, they were probably domesticated by Argonians or Dunmer, or maybe by both in a joint effort. 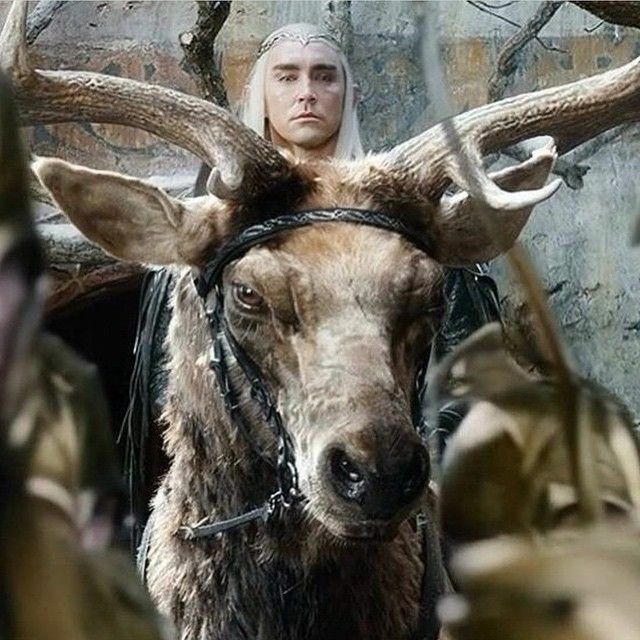 The "Great Elk" mount has flavor text that directly states that both Nords and Reachmen are in disagreement about who first domesticated elk. There is nothing to suggest which race was first responsible. The "Nix-Ox" flavor text directly states that the Erabenimsum tribe of Ashlanders were the first to domesticate them. They were made by dwarves. Enough said. Both Kagouti and Nix-Ox fabricants were created by the Dunmer inhabitants of the Clockwork City. Atronaches of various types (Fire, Storm, etc.) are said to be summoned by mages in their flavor text. They can probably be attributed to mages from various races. Exemplars were created by the Psijics, so can probably be attributed to Altmer. Although there are non-Altmer psijics, Altmer are traditionally considered skilled at magic so are probably the race responsible. Probably associated with multiple races. Flavor text for skeleton mounts states they are used by necromancers. Humans seem to be responsible for the domestication of most species used by mounts! Especially the Nords (responsible for bears and potentially elk, sabre cats, and certain wolves), Reachmen (potentially responsible for elk, sabre cats, and certain wolves) and the Redguards (their Yokudan ancestors being responsible for horses and camels). Dunmer are the runner up, being responsible for Nix-Ox, fabricants, certain wolves, and potentially Guar and Kagouti. @Strychnos Awesome reply, thank you for the work.